It took only minutes to destroy what Bill Brummett III and his father before him had spent nearly 40 years building. 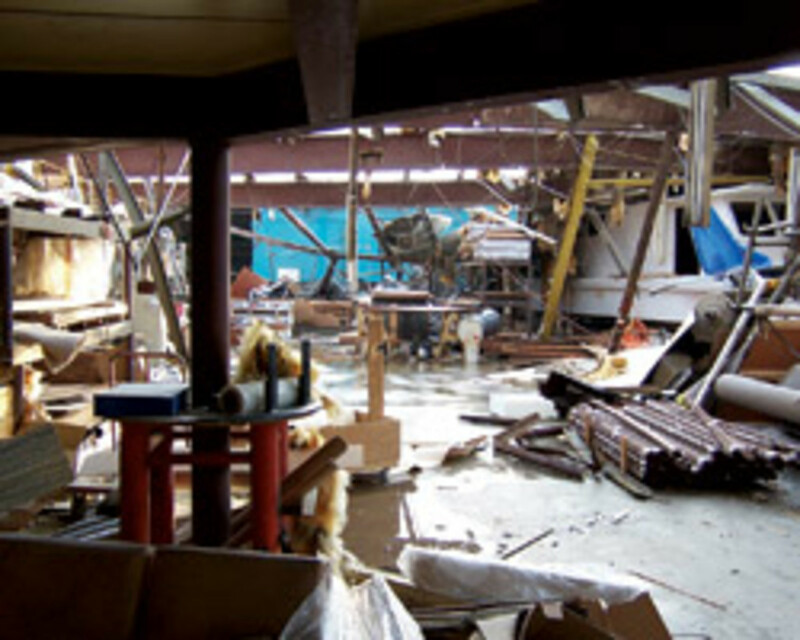 In April 2006, an F3 tornado ripped through their Gibson Boats facility in Goodlettsville, Tenn. The plant was all but demolished, though miraculously none of the 40 employees working there were killed or even seriously injured. Everyone was able to get up to the front of the building and underneath its main high beams for protection. "We had a direct hit through the plant. We watched it go right through," Brummett recalls. "It was pretty devastating to watch your entire lives get blown away in a matter of seconds. It was a pretty difficult time for us." To add to his pain, Brummett spent nearly all of the following year fighting with his insurance carrier so he could rebuild. "They kept us in mediation for close to 298 days," he says, adding that the insurance company just wanted him to take a check, close up shop and go away. "That wasn&apos;t going to be the case for us." Brummett was determined to rebuild the company his father had started and bring all his employees back to work. 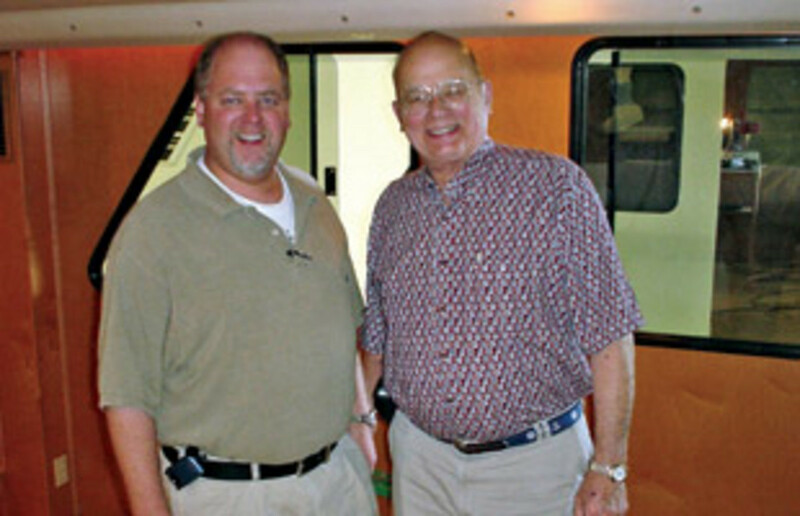 To assist him in dealing with the insurance carrier, Brummett brought in Adjusters International, the disaster recovery consultants that did mediation for the World Trade Center after the terrorist attacks of Sept. 11, 2001. The firm helped him navigate his way through the endless claims and "protect us from our own carrier," he says. Eventually there was a settlement - Brummett could not comment on the amount - but it precluded from rebuilding on the same site. (He says Gibson is now with a different carrier.) Brummett rebuilt in neighboring Portland. One point he never wavered on was his determination to bring his employees back. During the downtime, he saw many lose houses and cars because of the financial hardships they were facing, and he couldn&apos;t walk away from them. The new manufacturing plant opened in June 2007, a little more than a year after the former building was destroyed. Dealers and consumers also were waiting for Gibson to come back. "Our boats became a premium at that point," Brummett says. "Everything got sold. I actually only had - a year after the storm - probably two boats unsold in the country. Dealers were waiting on us to rebuild and come back." While it&apos;s obviously no small task to re-create an entire company, the rebuilding process allowed Gibson to revamp its business philosophy. Before the tornado, the company&apos;s 40 employees built 100 to 150 boats a year in a 100,000-square-foot facility. 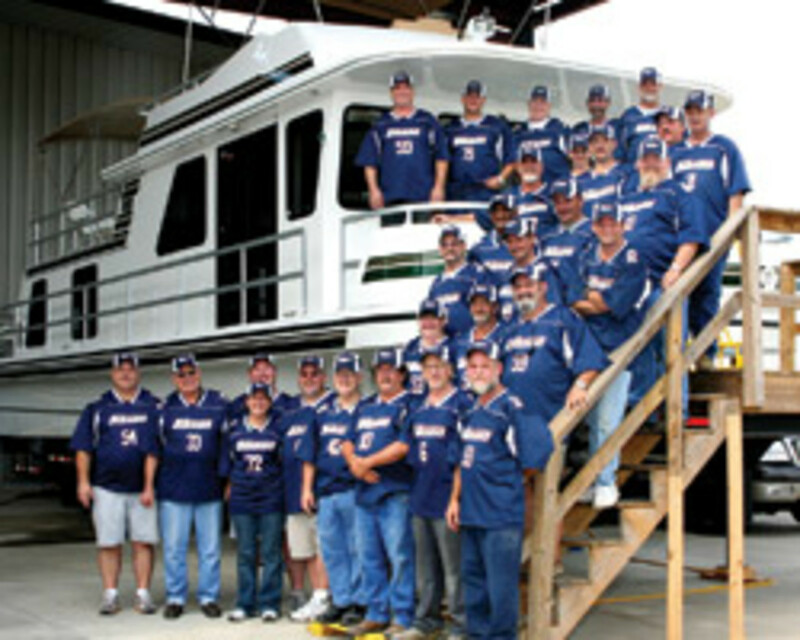 Now the 35 employees who returned build about 30 boats a year in a 54,000-square-foot plant. "This is a new Gibson," says Randy O&apos;Malia, Eastern regional sales manager. "There have been a lot of upgrades to the product - paneling, appliances, carpeting. ... There was a major effort to take this Gibson product to the highest level possible." Gibson boats are built more efficiently in the new facility, says factory general manager Tom Austin. The boats are now manufactured in an assembly line, he says, noting that the new facility was built for this model. The former plant was made up of buildings that were added on as the company grew, and that didn&apos;t always allow for the most effective construction methods. "We&apos;re trying to set up more of an assembly line where it&apos;s more from one station to the next," Austin says. "We&apos;re building fewer boats, but a lot of the items that were options are now standard. The boats are finished out a lot nicer. We upgraded the product." And because fewer boats are produced, each one can be customized to suit a customer&apos;s particular needs. Case in point: Two brothers came in to buy a boat and were arguing over who would get the stateroom. Gibson ended up building them a boat with two private queen staterooms. "That&apos;s what makes it fun," Brummett says. "To sit there and be able to help people like that puts the enjoyment back into it." Gibson builds 12 models from 44 to 59 feet that retail for $250,000 to $500,000. The company previously offered 27 models from 37 to 59 feet. Austin says Gibson can produce about a boat a month, and it takes about six weeks - from start to finish - to build one boat. There are about six boats in various stages of construction at any given time. Gibson used to build about two boats a week before the tornado. Another improvement to the manufacturing process has been an upgrade in tools and other equipment, Brummett says. He says since Gibson isn&apos;t building 100-plus boats a year anymore, he may only need three table saws, rather than 12, so he can buy the best and safest equipment for his employees. "We were able to step back and say, &apos;This is good, but how can we make it even better, and how do we make it the best boat we can build?&apos; " he says. Part of the rebuilding process is reconstructing Gibson&apos;s dealer network, says O&apos;Malia. The goal, he says, is to have seven to 10 dealers nationwide; the company previously had about 25. "We won&apos;t have a dealer on every corner," he says. "We&apos;re focusing more on profitability and financial strength versus sheer numbers and market share." "The one good thing about scaling down from 150 boats ... is it hasn&apos;t been very difficult for us finding buyers," says Brummett. "Dealers haven&apos;t had that much of a problem. "Right now we&apos;re taking our time," he adds. "We&apos;re not pushing it, because of the way the economy is, but we really want to find the right dealership to be the right partner in business for us." He says Gibson doesn&apos;t want dealers that are loaded up with other boat brands. "We want someone to put us out in front and present our product the way we want it done," he says. While the last few years certainly have been tumultuous for Brummett and his team, they were able to achieve their end goal. "We&apos;re back to doing what we love," he says. "We&apos;re back building boats again."